Edmonds has you covered for last minute shopping and festivities—then it’s time to relax and enjoy the rest of your holiday break downtown! This Sunday, Dec. 23 is the wrap up of theatrical performances by Driftwood Players (a 2pm matinee of Peter and the Starcatcher) and of Phoenix Theatre’s popular Twist of the Magi (2pm matinee). For more creative boost — Mary Poppins is showing through to the New Year at historic Edmonds Theater, and our galleries continue to delight with showings of incredible art. Last minute holiday shopping downtown is a relaxing affair, so grab a bite at one of our fine eateries and swing into town for that last special gift. Enjoy the holiday break, and come back for New Year’s!! What better way to wrap up the year and kick off a new one than by getting your feet wet in frigid Puget Sound? Or maybe, like Liz Morgan, your style is to stay a little warmer and bring in the New Year with cocktails and a party. The Polar Bear Plunge has become an annual tradition for many folks on New Year’s Day! It was started in 2008 by the owners of the iconic cocktail bar Daphnes, and is now a major event in Edmonds. Before jumping in the icy water (or watching from the shore), grab your coziest apres-plunge wear, meet up with a group for breakfast at one of the nearby restaurants, then walk down to Brackett’s Landing to take the plunge. Liz says there is no way she’ll plunge her body into Puget Sound this time of year, but she’s up for a good party. “We love to bring in the New Year’s with friends. Sometimes we meet up for drinks and appetizers, and others we stick close to home and host a little shindig ourselves,” said the Edmonds mom and localvore. If you’re like Liz and a freezing plunge in icy water doesn’t kick start your year, you can create your own tradition. Head downtown for a romantic dinner, meet up with friends, enjoy dancing to live music, or gather at a friend’s home for cocktails and conversation. The Wooden Spoon, a downtown kitchen wares shop, will have the perfect cocktail shaker for you. And any number of boutiques has that just-so little dress to make the evening right. Surely there’s a big white robe available, too, if you’re planning to take a chilly dip the next day with the Polar Bear Plunge. Looking to go out for your New Year’s celebration?  Check out www.visitedmonds.com and www.edmondsdowntown.org for restaurants, cocktail bars, pubs and live music for your festivities. From Daphnes’ intimate bar to Salt & Iron for steak and oysters, wood-fired pizza at Demetri’s or seafood at Anthony’s on the waterfront, there is something for everyone’s celebration here. Edmonds is a hopping place year round. Dubbed the Friendliest Town by King 5’s Evening Magazine many years running, it’s also the most fun. Between the thriving arts community, a walkable historic downtown, guided tours on Segways through town or by Beach Rangers looking at tide pools, Edmonds is the place to be. while in edmonds, visit our unique local shops and tasty restaurants! Enjoy the holiday break with shopping, dining, and entertainment in downtown Edmonds!